Creating cohesive Christmas decor doesn’t have to be difficult. Follow along as Ashley of Cherished Bliss shares tips for creating a metallic Christmas tree for this year’s Holiday Style Challenge! Ever since I was a little girl I’ve looked forward to putting up our Christmas decor. It’s one of my favorite times of the year! Putting up the tree is always the first thing I want to accomplish. Our house is under construction at the moment, so when The Home Depot reached out about doing their 2018 Holiday Style Challenge I couldn’t wait to bring a little Christmas cheer to my sister’s adorable home! I asked my sister’s family what type of tree they wanted and we settled on a cozy, metallic theme incorporating white, gold, silver, and copper. 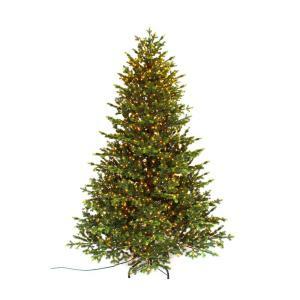 I found some gorgeous ornaments on Home Depot’s website to compliment this Elegant Natural Fir Tree! This is seriously my new favorite Christmas Tree! When we set it up I couldn’t get over how natural it looks! It has the perfect balance of being full, yet looks like a tree you would pick up at a Christmas tree farm. Except you get to enjoy this one year after year! The lights are dimmable, which was a super fun feature! Overall I couldn’t be happier with the quality of this tree. Let’s talk about decorating Christmas trees. I’m going to share a few tips with you and the process I take from start to finish. I used white fur and a copper ribbon. The copper ribbon I started at the top and weaved it in and out around the tree working my way to the bottom. For the fur ribbon I cut 12 to 16-in. pieces and weaved it through the tree to give it a little balance from all the “glam” ornaments and provide a little coziness. Dimension is important with Christmas trees. Having larger ornaments helps to give depth. I always nestle the larger ornaments into the tree a little more rather than hanging them on the edge of the branch. 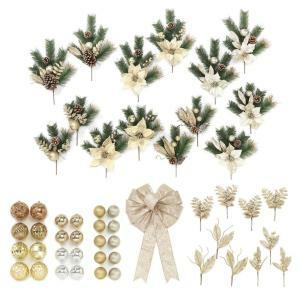 The Gold Trim a Tree kit came with varying sizes which helps make this easier for you when purchasing ornaments! You will also find standard size Christmas ball ornaments in the Gold Trim a Tree kit. 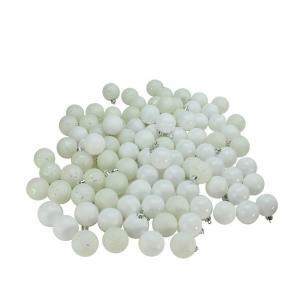 I use these after I place the larger ornaments. I typically do one color at a time. On this tree I have gold, silver and copper ornament balls. I started with the copper because that was more of an accent color and then worked on silver and finished up with gold. First tie two ornaments together with some thin string. I used some of the string that came with my gold snowflake ornaments. Then using an ornament hook, attach the string and one more ornament ball together to create this little mini cluster. They really added some dimension to the tree and helped the other ornaments stand out! Adding a few decorative ornaments creates interest on a tree, I used these gold snowflakes. I always use Christmas Stems to fill in the gaps. The Gold Trim a Tree kit provided these items as well, and then I added a few sticks I found outside for a natural element. For the tree skirt I actually used a furry blanket I found on Home Depot’s website. 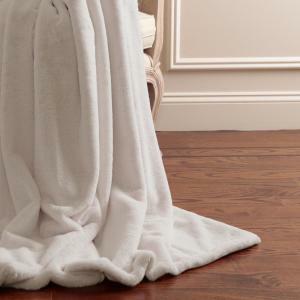 The best part about this is that after Christmas you now have a new cozy blanket! Obviously this isn’t a set in stone way of decorating, but it helps me keep things balanced. In decorating, I always say rules are created to be broken and that’s where creativity shines. But sometimes we just need some guidelines to get started! I hope these tips will help you when decorating your Christmas tree this year! Now all that’s left is to add presents and enjoy this wonderful season! For more Christmas decorating inspiration, check out the Holiday Style Challenge series on the blog.